We are pleased to update you on our work. On completion of the 3-year term of the earlier Land Board, a new team was constituted in May 2018 after comprehensive tests and exercise. The new Land Board team consists of Banumathi, Yuval, Helena and Padmanabhan. 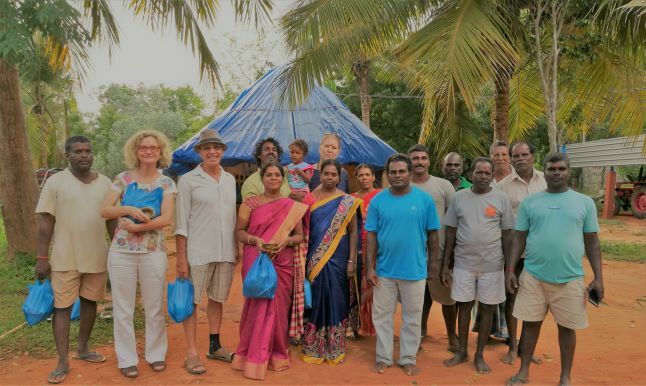 They have set about strengthening the administrative process and the management and are reaching out to the Auroville community for recruiting more Aurovilians to attend to the multiple aspects of the tasks at hand. Banumathi has been part of the management group of the Auroville Dental Centre for 18 years. Yuval, a pioneering Aurovilian, is a member of the Forest Group for 35 years, with the Green Group for 5 years and the Housing Board for 5 years. Helena has experience in administrative work at Transition school for 18 years, and then Auroville health clinics Kailash and Sante for 5 years. Padmanabhan has been part of Auroville`s Human Resource Team, Saiier and BCC (Budget Coordination Committee) for over 10 years. Recently, to reinforce the existing team, another two Aurovilians Krishnamoorthy and Ayyanar have joined to help with the site visits, issues on the lands and dealing with officials. In short, a solid team has been formed and backed by the fundraising efforts under the banner of LFAU (Lands for Auroville Unified). We look forward with optimism to Auroville’s bright future.